In West Texas, we have seen a corrolation of Quail kill off and the airial spraying of the nearby cotton fields. This year has been a banner year for the current quail population yet within the next few weeks they will begin spraying the cotton fields for boll weevil. In the past the quail population was booming until they begin to spray and suddenly the quail are gone. Also, the bait shop owners that supply minnows for fishermen in West Texas report that within 24 hrs of spaying their minnows are dead. Is this subject something that is worth talking about? Is there something that can be done organically for the cotton farmers to help them and keep the birds and fish safe? The solution is simple. Stop the spraying. 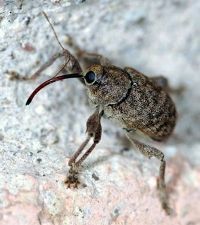 The boll weevil eradication program is a bigger scam than the West Nile Virus spray program. Government entomologists said it was nuts before the spraying started. They got fired. The spraying kills the beneficial insects more than the targeted pests, as always, along with doing the damage you mention. The organic program that we cover on the web site in detail is the answer.